Just over a year ago, when Sartoria opened on the corner of Saville Row – like everybody else in London with a passion for food – I couldn’t wait to visit. 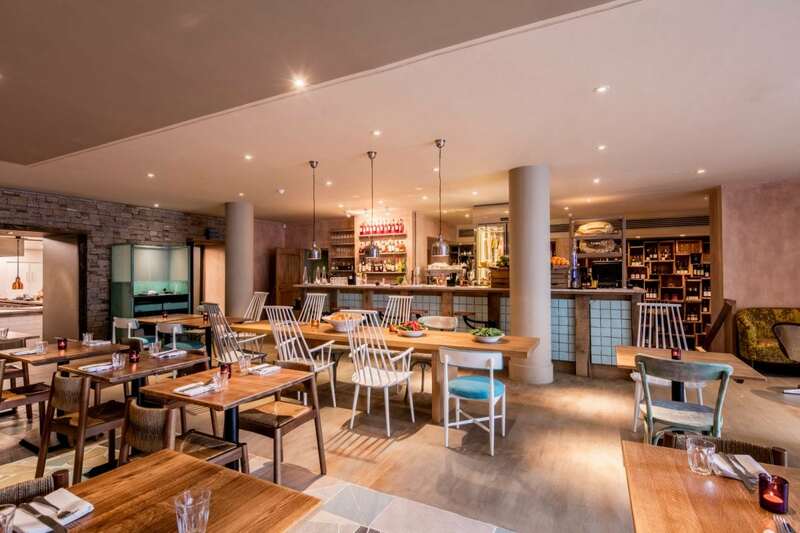 Renowned as one of London’s finest Italian chefs (having previously worked at L’Anima), D&D London recruited Francesco Mazzei to run the kitchen of its swanky new venue. Bedecked with heavily starched linen and cutlery so heavily polished that neighbouring diners could be blinded with one misjudged mouthful – it must be noted that Mazzei’s style of cooking, at the time, didn’t quite seem quite suited to the overall ambience of the restaurant. Indeed, the food was generally very good, but with each dish sampled (liquorice-cured black cod, lobster tagliolini, rich Zabaglione) I could almost taste the frustration of a well-trained chef just screaming out for a chance to serve rustic, simple Italian food – as it is at its very best. I could, of course, be absolutely wrong. The wine list at Sartoria, however was, perhaps needless to say, astonishing – with larger-than-life Sommelier Michael Simms on board to provide faultless pairings, with a friendliness that made the general stuffiness of the place seem less intimidating. In fact, the wine list at Radici, Mazzei’s brand spanking new restaurant in Islington, is also sensational. 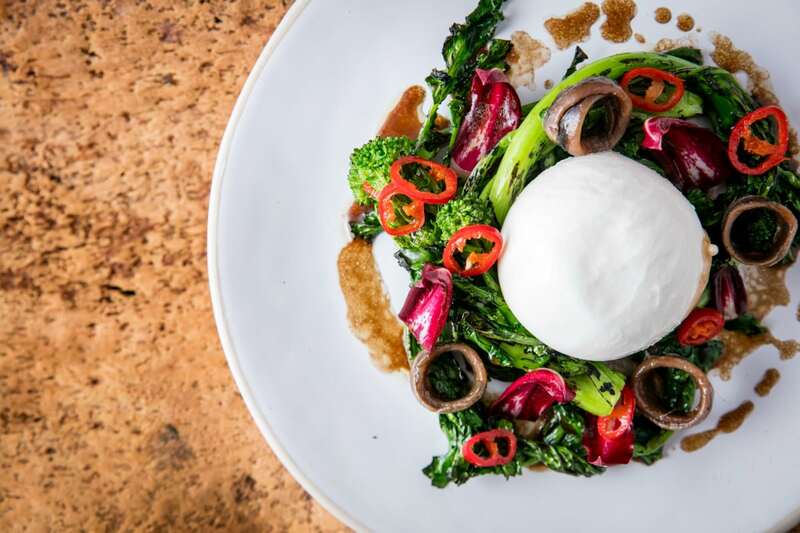 On the corner of Almeida Street, just off of Upper Street, Radici is a huge space that joins a number of excellent local restaurants within a two-minute walk from here – taking over the space formerly occupied by Almeida (another D&D restaurant). Entirely contrasting Sartoria, Radici (literally meaning ‘roots’, in Italian) is intentionally less formal, focusing on simple southern Italian dishes, served in a convivial, family-friendly setting. In addition to the open kitchen, the sheer size of the dining space at Radici is most flabbergasting, becoming increasingly full and more atmospheric as the evening continues and the lights begin to dim. The Chef Patron, himself, is also on board this evening, watching over his guests like a hawk, or the guard of a high-security prison watchtower. Arriving a couple of minutes early, my friend decides on the wine – opting for a bottle of Sicilian Mandrarossa Nero d’Avola 2015 from the exclusively Italian selection. Also available by the glass or carafe, the wine is sensational, filled with well-balanced aromas and complex traits of any top old world vintages, working equally well with the food selected. As soon as I’m seated, a waiter asks if we’re ready to order. Two minutes later, he returns and insists on reeling through the evening’s specials. To begin, a simple burrata (£10) starter is, by far, the best thing sampled at Radici. A distend of milky cheese is placed atop a nest of tender-stem broccoli that’s heavily charred but still al dente. As well as texturally contrasting the cheese, the broccoli has a bitter edge that works with the lactic acid, topped with a handful of hazelnuts, anchovies and a drizzle of saba (a reduced juice made from wine grapes). In addition to being texturally stimulating, the focus on simple, ingredient-led cooking is prominent, combining a number of bold, well-balanced flavours with tremendous finesse. Quite fortunately, no measure of technical wankifery is employed to disturb the peace and ultimately ruin this dish. The same can be said about the octopus (£15.50), which is another ingredient-focused dish. Here a tentacle of prized octopus is somewhat overcooked, but the depth of charcoal flavour from the grill makes it easier to overlook the slight cooking error. A mattress of cannellini beans, nonetheless, are cooked properly but dry without sauce. What’s more, the dish is topped with a fistful of crumbled mozzarella, bringing nothing positive (not even a flash of colour) to the otherwise beige dish. Though the balance of flavours aren’t so spot-on, the slightly rustic, ingredient-led dish is still refreshing, though expensive. Another simple southern Italian dish, by nature, Francesco Mazzei should be trusted to cook a dish synonymous with his home region. The ‘spicy chicken Calabrese’ (£14) at Radici is plated as pretty as is possible, vaunting a pile of slow-cooked chicken thighs convoyed by flecks of red, yellow and green peppers and a pool of tomato juice in a shade of red as vivid as Donald Trump’s tie. On the eye, the dish is (against all odds) stunning. From a cooking perspective, everything on the plate is cooked well: the chicken is succulent and falls apart without the need of a knife, the peppers have softened but have still retained some texture and subtle flavour, and the sauce is perfectly thick. Alas, the spice element promised by the menu is nowhere to be found, making the dish taste devilishly bland on the palate. Though each element is cooked well, the dish seems as though catered especially for stereotypically insipid English palate of the 1950s. Served on a vivid blue plate evocative of the Mediterranean Sea, king prawns in a Salmoriglio sauce is the most expensive dish on the menu, priced at just £19.50. Four plump prawns taste as though cooked over charcoal and have the head and tail still attached, allowing for the delectable juices from behind the eyes to be slurped down as a rewarding climax. What’s more, the Salmoriglio sauce is very well made with lemon, plenty of garlic, olive oil and oregano. However, the heavy-handed garnish of rosemary trimming isn’t just unnecessary, it lends an unpleasant edge to the dish – with hunks of raw, resinous needles both disagreeable in terms of flavour and arduous to swallow. An additional side of the chef’s famous ‘zucchini fritti’ (£5.50) are an “absolute must-try”, or so we are told. Thin ribbons of courgette are battered and gently fried. Although a refreshing vacation from token potatoes, the slivers of vegetal matter are overly greasy and taste of little more than salt and vegetable oil. “It tastes like the dregs of a Starbucks Frappuccino,” my friend exclaims – speaking of the coffee granita and cream (£5). I’m not given the chance to taste for myself, perhaps fortunately. Far better is a shard of pistachio cake (£6.50) that’s presented upstanding with a splotch of luscious whipped cream. The cake is denser than ideal, but has a succulence that’s often lost in the oven, accompanied by a handful of fresh raspberries to cut through the lasting flavours of delightful pistachio. In all, it seems that Francesco Mazzei has finally been given the chance to cook the food that he genuinely enjoys. We all know that he can do fine-dining, but the southern Italian-focused menu on offer here is where his skill (and passion) is blatantly conveyed – if only some bolder flavours could be extracted, as suggested by the menu. The service, although not unfriendly, is a little rushed, but that could be merely attributed to teething problems. The general atmosphere, however, is enjoyable and flourishes as the evening progresses – fitting with the chef’s objective to open a friendly neighbourhood Trattoria. Radici can be found at 30 Almeida Street, London, N1 1AD. Here we have a critic who is also an excellent journalist, A man whose love of food is evident in his writing . a new reader you have found today Mr Hatchman may you continue to write realistic yet honest reviews I will most definitely be looking for dining inspirations from your words of your text.